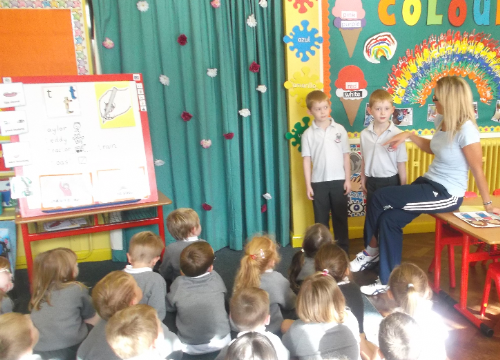 TWO sets of TWINS came to talk to P1 to share what it is like to be a twin. 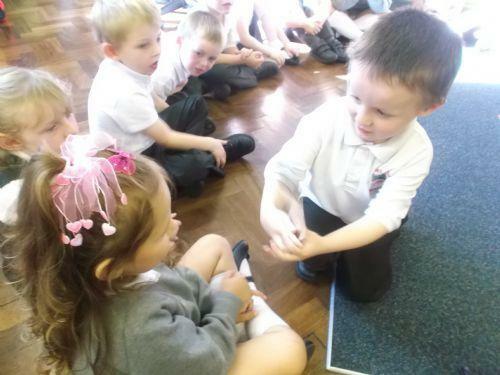 We learnt that each twin is very DIFFERENT from one another - even when they look VERY alike! Joshua helping Laura look at her facial features in a mirror.